Sustainability and sports – these are two words that aren't normally verbalised in one sentence. Even for ecologically conscious fans, these are not often said in the same breath. In fact, when inspired to either promote or embrace sustainability, most sporting organisations, groups and leagues, look the other way. However, there are some who raise the bar in terms of providing new stadiums that proudly represent the green living lifestyle. Back in 2014, The Guardian published a feature on football and sustainability. The article highlighted its general concept, as well as the main facets that push them under said category. Generally speaking, these sports venues have particular certifications from various environment-cognizant groups. With that said, here are three of the most sustainable football stadiums in the world. To say that the AAMI Park broke new ground is an understatement. Aside from its rugby and football fields, the more commonly known Melbourne Rectangular Stadium, hosts football matches night in, night out. In his article on football site Betfair, international sports pundit, Tobias Gourlay, even put the stadium under the spotlight during Melbourne Victory's impressive home run in February. When it comes to its features, AAMI Park uses 50 per cent less steel for its roof compared to typical sports arenas. At the same time, it has a rainwater collection system that saves as much as 500,000 gallons of water each year. 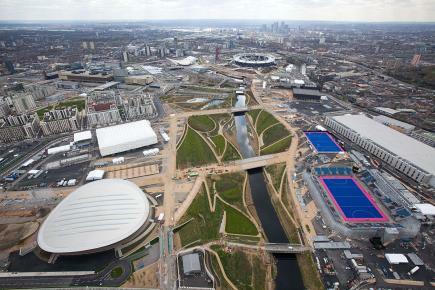 Nestled in the heart of London, England, the Stadium at Queen Elizabeth Olympic Park was primarily built to serve as the main venue for the 2012 Olympic Games and Paralympics. In August 2016, Premier League team, West Ham, moved from the Boleyn Ground to the aforementioned arena. The club's first EPL match was against Bournemouth, which saw a record 56,977 supporters attend, according to the BBC. Part of the Olympic Stadium's mission, aside from hosting major sporting events, is to cultivate initiatives leaning towards an eco-friendly lifestyle. Its owners, Greater London Authority, made it a point to create sustainable developments in line with the world's ever-changing resource needs and climate. 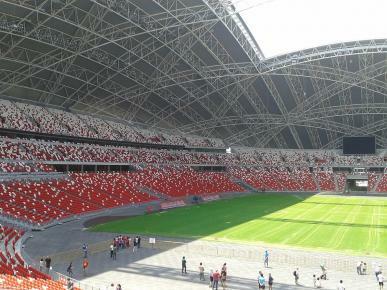 After using it for the 2009 World Games, the National Stadium (formerly known as the World Games Stadium) is now being utilised mainly for local football matches. Together with the OCBC Aquatic Centre, Singapore Sports Museum, and the Sports Hub Library, it's part of the huge multi-purpose Singapore Sports Hub complex. As advanced and as aesthetically pleasing as its architecture is, the arena also makes it a point to be environmentally conscious. The roof has close to 9,000 solar panels that power the whole stadium. 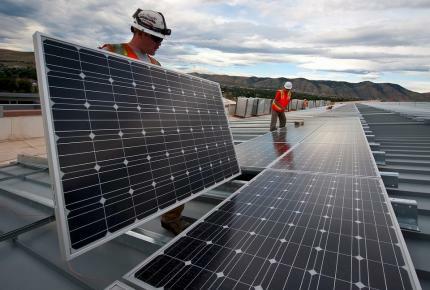 In addition, this technology generates extra funds with the owners selling the surplus energy. This same resource is enough to provide electricity that can power up to 80 per cent of the surrounding areas.